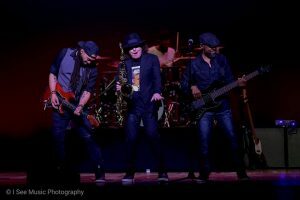 That’s what happened at the Florida Theatre when Boney James and his incredible backing musicians hit the stage to wrap up the Florida run of the 2019 Honestly Tour. 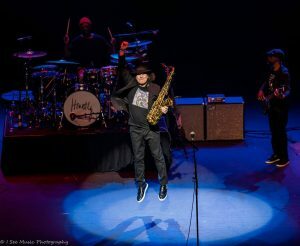 It was on from the minute the band hit the opening notes and Boney stepped on stage radiating energy and waving upward to the crowd in a gesture that said “we’re here, lets get it started!” The crowd bounced it right back at him with applause, yells, and whoops as they hit the first notes of the funky, fired up version of “Up All Night.” Then he took us us on a joyride through a set of songs from Honestly nuggets from his previous albums and fresh takes on his all time crowd pleasers. 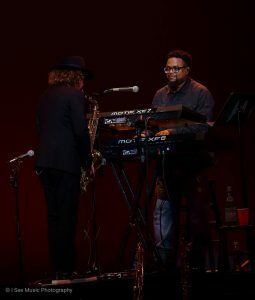 Several things about Boney James in concert: You’ve gotta have showmanship to fire up a crowd in a big room and when it comes authenticity, connection and musical skills it raises it to a whole different level. And yes, he can do that circular breathing thing and hold a note for a really long time while making it fit perfectly into a song. Style with substance. 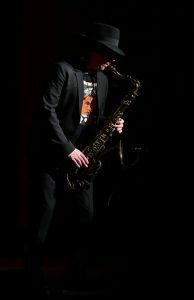 He has the most gorgeous sax tone ever, whether it’s wailing out on a big funky uptempo jam or hitting the low notes on a sensual ballad, and he always brings a band that is tight, skilled, and charismatic. He showcases them too. 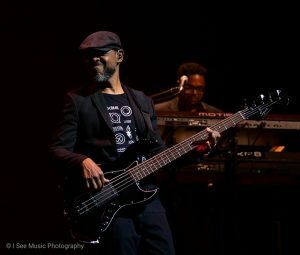 Keyboardist Jonathan Richmond got to show his vocal chops on “Maker of Love,” drummer Omari Williams did a solo that took drum solos into a whole different place and made you want to jump outta your seat, bassist Dwayne “Smitty” Smith had a booty shakin’ solo that hit some notes that you could feel all the way back on row W. Guitarist Kendall Lee Gilder brought such flavor to every solo he did because we are talking about extreme musical diversity. 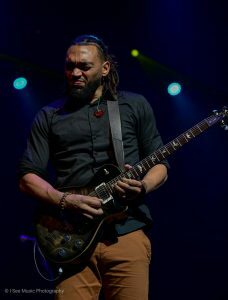 He did a really deep blues rock solo and at another point shifted the entire band’s sound into progressive/jam band territory. 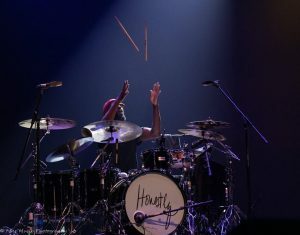 Oh yes he can jazz it up, they all can, but they all do so much more.